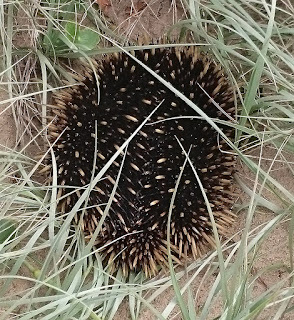 The short-beaked echidna is the species of echidna we have in Australia I've been pretty lucky in that every place I've lived since I left Sydney, I've had an echidna come and visit me at least once. They're such incredibly weird critters. They sort of waddle. 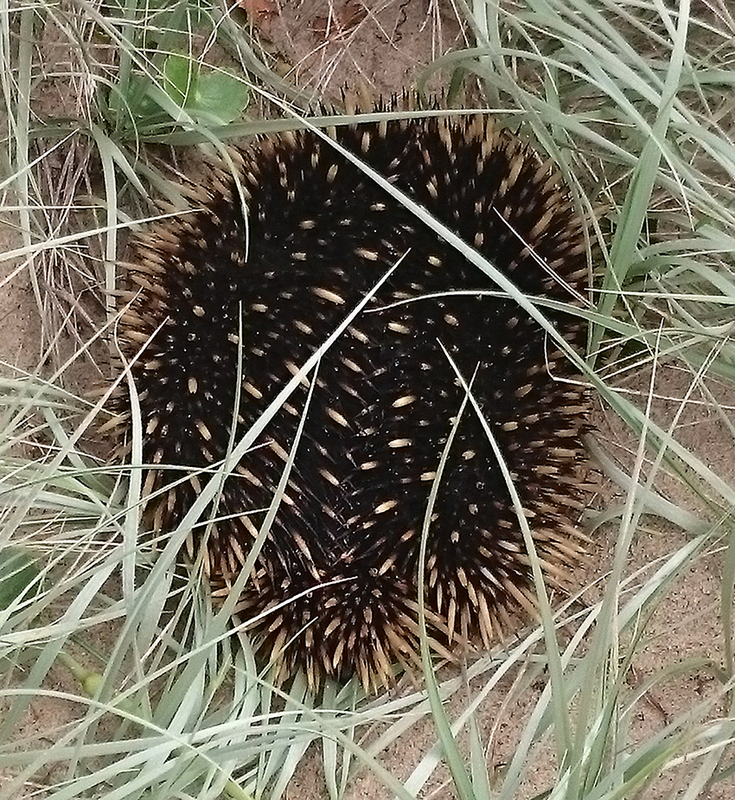 They're incredibly shy, and they tuck up into this little ball of spines and dig themselves into the ground and pretend that you can't see them. Here's some info about them if you'd like to learn more - The Australian Museum website is my favourite for snippets of info! At the Shoalhaven Zoo a couple of years ago, there were some happy little echidnas who stretched up in their cage to be petted by friendly visitors. They were remarkable. Nowhere near as spikey as I'd imagined. And they seemed to love being scratched under their chin, like a dog or a cat. So very cute.